There probably are still plenty of people who think of nothing but printed books and being shushed when they hear the word “library.” But you won’t find many of them here in New Orleans attending the American Library Association (ALA) 2011 Annual Conference. A 90-minute session yesterday, organized by ALA’s Office for Information Technology Policy, highlighted and celebrated four innovative projects designed to meet library users’ needs with varying degrees of creativity and playfulness: North Carolina State University Library’s web redesign program, which gave the library’s online presence a cleaner and more dynamic look than it previously sported; the OhioLINK Digital Resource Commons (DRC); the Creekview High School (Canton, Georgia) Media 21 project which helps students match technology with learning opportunities; and Orange County (Florida) Library System’s Shake It! mobile app to match readers with the books they are likely to enjoy. Technology and library users come together very effectively in Media 21’s transformation of a school library into a first-rate social learning center and Orange County’s Shake It! Project. Media 21 makes at least some of us wish we were back in high school again—admittedly a major accomplishment in itself—and Shake It! appears to be so playfully addictive that it could easily make us want to read even more books than we already do just so we can shake our mobile devices again and see what reading recommendation the app will offer next. The result has students engaged in learning via a huge variety of social media tools including, but far from limited to, Netvibes to curate and collect information; Google Docs so students use the same tools found in the contemporary business world to collaborate and share; Skype to have live conversations with experts around the world; Prezi, Animoto, and Wordle to more effectively present their ideas; and social bookmarking tools including Diigo and Evernote. “For these students to see that the library is a learning space…was very powerful for them,” she concluded. The sense of fun for library users at Creekview is equally apparent in the Orange County Shake It! app, Library Director and CEO Mary Anne Hodel told and showed her audience through a brief presentation that included videos documenting the playful approach to bringing books to library users. The most difficult part of developing the app, which works when the user shakes a mobile device with the app installed and causes three wheels to turn until they come to a rest displaying a book based on three elements: audience, genre, and preferred medium. “We launched this in July 2010,” she told her audience. “There have been over 4,000 downloads of the app” and coverage of the popular innovation in the Orlando Sentinel and USA Today. When a classmate introduced me to Michael Wesch’s 4.5-minute video The Machine Is Us/ing Us on YouTube a few years ago, I sat in stunned silence for quite a while. Because it introduced me to Web 2.0 in a uniquely visceral way. Showed me that the world had changed significantly while I had been asleep intellectually and socially. And because I knew I would be working through the thoughts inspired by that brief video for months, if not years, to come. I had the same reaction two nights ago when I finally made the time to watch the online archived version of the MacArthur Foundation’s 100-minute Panel Discussion on Re-Imagining Learning in the 21st Century and immediately followed a link to see Digital Media: New Learners of the 21st Century, the 50-minute PBS program which is at the heart of the Panel Discussion program. To say that all trainer-teacher-learners should watch, think about, and discuss how the content of these two beautifully interwoven presentations is already affecting what we do is to underplay the significance of programs’ content. Both presentations are forward-looking, as suggested by inclusion of John Dewey’s reminder that “If we teach today’s students as we did yesterday’s, we are robbing them of tomorrow.” And both shows document the growing impact of what Karen Cator, Director of the office of Educational Technology in the U.S. Department of Education, calls the transition from print-based classroom learning to a digital learning environment in one of her contributions to Panel Discussion. While the focus of both programs is on education for students not yet in college, the message for all of us is: if we don’t learn from how these students—members of our future workplace learning and performance audience—are learning and if we don’t effectively apply those social learning techniques to what we are offering our adult learners, we’re going to become obsolete as learning leaders. It’s a change many of us are noticing as we acknowledge and attempt to foster the growth of new onsite and online spaces in our lives—social learning centers (also referred to as learning environments). And both programs—the Panel Discussion and Learners of the 21st Century—provide plenty of encouragement for those efforts by showcasing five innovative programs and projects. There’s Quest to Learn, a school for digital kids. 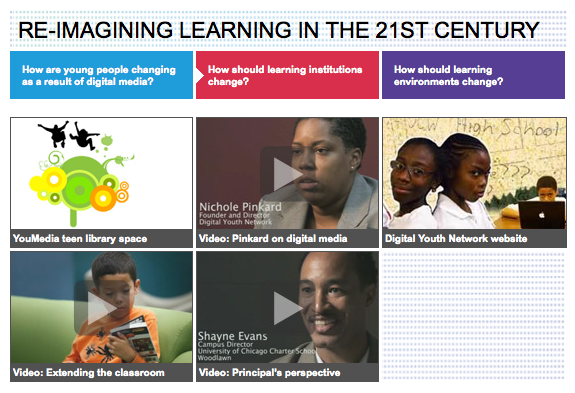 The Digital Youth Network and its fabulous YOUMedia collaboration for teens with the Chicago Public Library. The Smithsonian Institute’s digital scavenger hunt. Middleton Alternative Senior High’s augmented reality project in Middleton, Wisconsin. And the Science Leadership Academy sponsored by Philadelphia’s Franklin Institute. And there are the voices of the students themselves. Engaged. Confident. More articulate and innovative than many people twice or three times their age. And the sort of people all of us should very much look forward to working with very soon in our own workplaces and learning environments. The foundation for all of this, of course, is recognition that success in training-teaching-learning is rooted in a sense of humility. It’s not about any of us posing as the ultimate experts in our field. Nor is it about achieving a level of expertise and then resting on our laurels. Learning is continuous—as is the act of gathering and documenting practices that benefit all of us—so what we have done through Workplace Learning & Leadership and our ongoing attempts to stay ahead of those who rely on us to provide effective learning experiences is to celebrate. A magnificent—and not unexpected—success story is continuing to develop for the trainers-as-leaders at the ASTD Mt. Diablo Chapter in San Francisco’s East Bay Area: long-missing colleagues, including former members of the Chapter Board, are continuing to return to the organization after months or years of absence. More importantly, they are quickly becoming re-engaged in the organization’s growth and sustainability and are offering much needed skills. Some are becoming formal business partners. Others are considering new volunteer non-Board roles in support of initiatives like special interest groups to serve members’ and prospective members’ professional development and workplace learning and performance needs. And still others are simply being drawn back to the Chapter’s monthly meetings because of the learning opportunities offered by guest speakers at those events. As noted in earlier articles, this 80-person chapter of the 40,000-member national/international organization (the American Society for Training & Development) with more than 130 chapters in the United States and more than 30 international partners, was near collapse three years ago. A few dedicated Board and non-Board members refused to let it go under, and their (our) efforts have helped to bring it back to its position as a well focused, structurally sound, vital, vibrant, and sustainable community of learners in a heavily populated part of the San Francisco Bay Area. The rewards to the Chapter and its supporters are obvious. Our members go far beyond the usual pay-your-dues-and-run sort of relationship often maintained within organizations. They bring a level of engagement which shapes and nurtures the sort of third place—community meeting place—described by Ray Oldenburg in The Great Good Place and the complementary fourth place—a community gathering place for social learning—that several of us are just beginning to define and promote. Our still-evolving vision of business partners through our Chapter Community Involvement process builds upon existing strengths instead of attempting to create something from scratch through cold calls with those who are completely unfamiliar with what we do and offer. Those business partnerships are a real point of pride for us and serve as an easy model for others to pursue. They begin with us looking at resources far-too-long ignored: Diane Fleck, a former Chapter Board president who became inactive in the Chapter after successfully establishing a business through the contacts she developed via ASTD—not her fault that she fell away, mind you; it happened because the Chapter no longer worked to be an important part of what she needed. That’s a chilling warning for those who don’t know that they’ve got till it’s gone. Lynda McDaniel, our second business partner, came as naturally as the first: she is a Chapter member with tremendous writing and outreach skills—which she is willing to use on our behalf in exchange for the additional visibility it creates for her. Again, everyone wins. And our latest partners, Steven “Shags” Shagrin and Thornton Prayer through The Networking Lounge, are two consultants who have offered invaluable pro bono organizational development support at critical times in the Chapter’s growth; by acknowledging what they have done in ways that bring them visibility, we’ve nurtured another important relationship while gaining additional resources—including free meeting space—at a time when the number of activities we are scheduling is increasing and free meeting space will be critically important to the success of those events. So here we are, a small and growing community of learners creating a fourth place for those who want and need it. And all that is needed—how strange and encouraging that what once seemed so daunting now is almost casually dismissed with the phrase “all that is needed”—by anyone wanting to build from this example is a core group of dedicated members who would not and will not give up something that they value; a shared vision which evolves to meet the community’s needs; and a willingness to cherish past resources in ways that re-engage them in the present and the future. Because trainers and those who use their services often ask what tangible results they produce, it’s a pleasure to note the continuing successes one group—board members of the American Society for Training & Development (ASTD) Mt. Diablo Chapter—is achieving. While the adoption this week of a Chapter marketing and communications plan might sound about as exciting as watching gopher holes under construction in San Francisco’s Golden Gate Park (where do people find time to make and post these videos? ), it actually serves as another example of what happens when trainers assume leadership positions. The plan, like the strategic plan Board members adopted earlier this year after more than 14 months of work, is notable for several reasons. 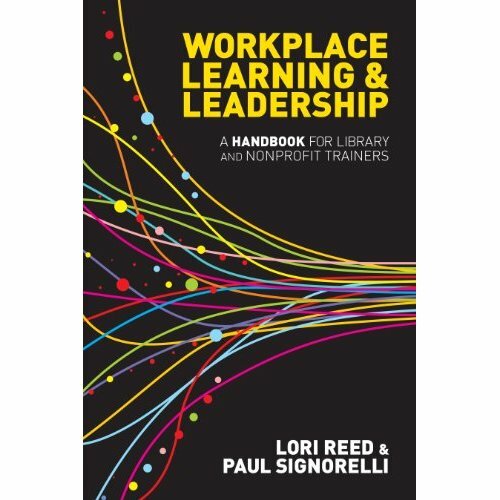 It fills an obvious need: helping Chapter leaders, other members, and an evolving group of business partners, collaborate to better serve the organization’s core constituency of workplace learning and performance professionals throughout the San Francisco East Bay Area. It is part of a larger organizational development effort since it is interwoven with the strategic plan and has, as its foundation, a commitment to implementing the Chapter’s mission, vision, and value statements. It was developed relatively quickly and in a way that generated enthusiasm rather than boredom; all that was required were three intensely focused and very productive conference calls lasting less than 75 minutes each and easy-to-accomplish between-meeting activities on the part of a Chapter marketing and communications task force—all in response to a clearly defined mandate with a definitive set of deadlines. Best of all, it was far from the work of a small group of insiders who were simply egging each other on to produce a document that would gather dust instead of producing worthwhile results. The plan draws from the expertise of current Board members; other Chapter members with marketing, writing, and editing skills; and a successful and respected business partner—Diane Fleck, Founder and CEO of The Learning Café—who had not, until recently, had a formal affiliation with the Chapter in more than five years even though she had served as Chapter President nearly 10 years ago. Flecks’ participation in shaping and now moving quickly to implement the plan provided expertise and a simultaneous opportunity to revive that long-dormant relationship; it also offers the additional benefit of providing a template for additional business partnerships to strengthen the Chapter’s ability to meet and exceed its members’ needs and expectations. Not bad for a process that was originally designed to provide a roadmap for organizational growth and development through better communication with its constituency. With the ink hardly dry on the document, key Chapter trainers as leaders and other volunteers are moving to maximize the impact of the plan. Joe Novosel, Chapter VP, Communications, posted the document on the Chapter’s website so members and guests would have access to it and so it could serve as a resource to other ASTD Chapter leaders throughout the country. Task force and Chapter member Lynda McDaniel—a second newly acquired Chapter business partner and Founder/Director of the Association for Creative Business Writing—is providing much needed assistance in writing and editing marketing and promotional materials for the Chapter. Fleck is reaching out to her extensive network of contacts to provide additional resources for the Chapter. And all of us on the Board are beginning to breathe a little more easily as we see the incredible workload we have been carrying being dispersed a bit into additional obviously qualified hands—one of the many goals we set for ourselves in the Chapter’s strategic plan. As mentioned in an earlier article, the Chapter—with collaboration from a variety of interested and dedicated volunteers—has been on a long and steady road to recovery from the threat of extinction nearly three years ago. A partially moribund Board was slowly and steadily rebuilt while the Chapter bylaws were rewritten. Board job descriptions were revised to stress the collaborative approach Board members take to conducting Chapter business. And the strategic plan was created through the same sort of process which produced the marketing and communications plan—formation of a task force which included Board members, other Chapter members, and those who had previously been active in the Chapter but had, for a variety of reasons, drifted away over a several-year period. Facing the final five months of its existence in its current form, the Board (where members serve overlapping two-year terms designed so that half of the Board’s members are up for re-election or replacement every year and half remain to provide continuity from year to year) will aggressively move forward to build on the Chapter’s successes while seeking even more. And always with an eye on what can be done to promote the Chapter as a sustainable organization offering “a professional, caring, supportive, and fun environment” that is rewarding for anyone involved in workplace learning and performance.